aaatoner has no other items for sale. 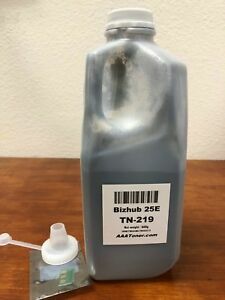 (945g/535g) 4 Toner Refill for Konica Minolta Bizhub C654 e, C754 e - NO Chips ! ATTN : "International Customers" VAT (Tax) is YOUR RESPONSIBLE. We don't pay your VAT (Tax). Please let us know if you want reduced total value or real invoice.